Potential savings of over £27,000* - How much can you save? By measuring and monitoring on-farm performance, dairy farmers can use Kingshay’s Dairy Insight Service to identify opportunities for change and utilise technical advice to make small adjustments in management that can lead to huge savings. It is no longer enough for dairy producers to be technically brilliant, farmers also need to be excellent businessmen and women. 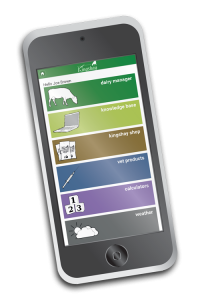 With this in mind, the new business-focussed Dairy Insight Service, brings together Kingshay’s current services under one umbrella, to include a range of technical and business tools, which will be available via our new app, to meet the needs of farmers on the go. The Dairy Insight Service makes use of your own farm data, enabling you to monitor your farm performance and benchmark against others, to identify opportunities for change. As a farmer, you will also benefit from a wealth of well researched, independent, technical information and practical advice to help make informed business decisions to increase the profitability of your dairy enterprise. 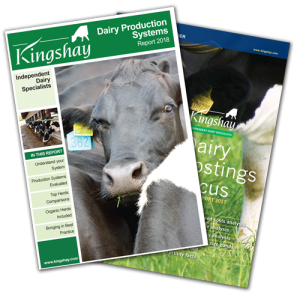 Kingshay Dairy Insight Service will…. Keep you up-to-date with their herd performance - Free dairy costings worth £300 from the UK’s leading dairy costings service (for one herd). Dairy Insight - containing practical and technical information to help you improve on-farm performance. Research Insight - scientific research from around the globe translated into useful information for your farm. Business Insight - crucial for any business, providing best practice, legislation and finance. Monthly Checklist - timely updates on practical matters to policy changes. Keeps you profitable – Discounts on products, tools, services and grass seed from our shop. Keeps farmers supported – Free Telephone support for practical advice on all farming issues. Whatever your challenges, from practical to strategic, Kingshay have the expertise, tools and services, to help you get the best from your farm.